It was the hell for many admins during the last patch days. 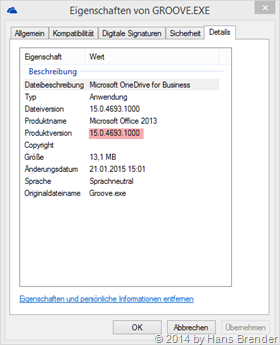 Perhaps Microsoft decide, not bringing any OneDrive for Business patch in January. Or they have no updates ready. On the File menu, click Account. For Office 2013 Click-to-Run installations, an Update Options item is displayed. For MSI-based installations, the Update Options item is not displayed. Improves reliability for file conflicts occur when you sync a document library by using OneDrive for Business. Improves localization to make sure that the meanings are accurate in multiple languages. Assume that you add a document to a SharePoint document library, and the full path of the document is too long. In this situation, you may be unable to sync the document library by using OneDrive for Business. Similarly, you may be unable to create or rename a document if the full path of the document is too long. Assume that you sync a document library by using OneDrive for Business. When the files in the document library exceeds the limits (by default, the value is set to 5,000,) you do not receive an error message for the issue. 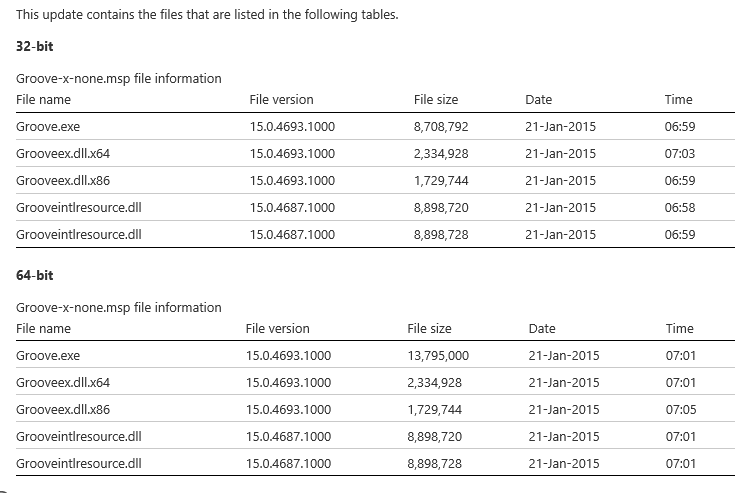 The patch 2920746 will deployed via Windows Update or WSUS. You may download it here and install it manually. 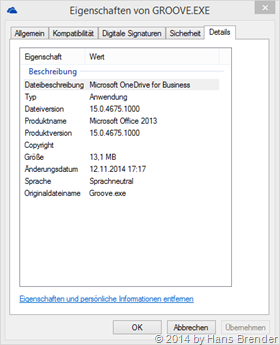 Microsoft is working hard on the next Gen Sync Client (Both: OneDrive (personal) and OneDrive for Business together). But they fixed one bug after the other on the old Groove.exe to bring the user a better experience.